The sensitively imagined story of a child soldier in Africa makes War Witch a genre benchmark and a breakout work for writer-director Kim Nguyen. Along with the moral lesson, Nguyen remembers to give auds some pleasures, including the exquisitely chosen soundtrack of African folk and pop music, Nicolas Bolduc's cinematography and the very artful use of sound throughout. Rebelle is full of such careful detail, and is carried so beautifully by Mwanza's performance, that questions of authenticity slide away. 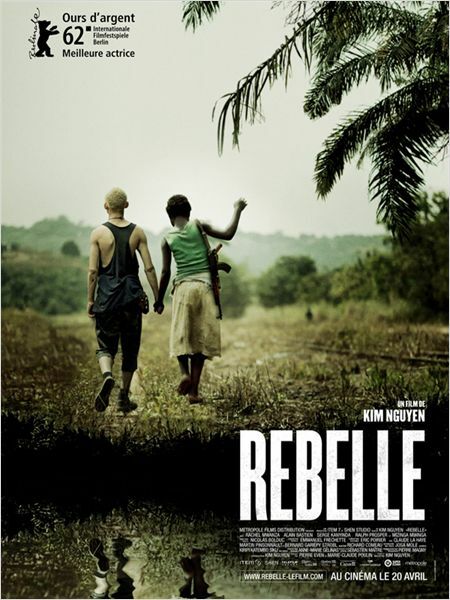 The ghosts of murdered villagers that haunt a young girl brutally forced into slavery as a child soldier in Rebelle mirror the film's dramatic effect on an audience. Infused with Terrence Malick spices, War Witch aims for ambiance as a way to approach its searing images of war, keeping the viewer unnerved instead of outraged when inspecting the troubles of Africa. What's missing here, in order to raise it to a different status, is the fierce involvement that comes from someone who lives inside the picture and is therefore, personally concerned. Nguyen's decision to look away from carnage and avoid melodrama is admirable, making room for sensitive and imaginative filmmaking, but it softens the blow the subject would otherwise deliver. While the film is certainly a potent and sometimes harrowing portrayal of injustice, it is not heavy-handed, but done with skill and sensitivity.